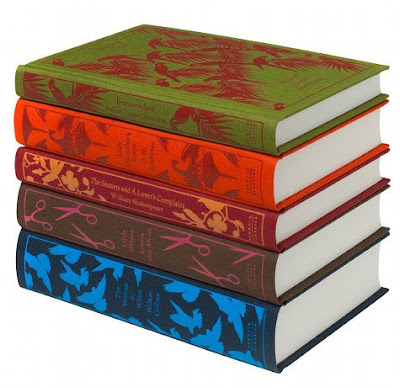 At least five of the latest collection of Penguin Classics cloth-bound books are available for advanced order (March 10) on Amazon, and they are an amazing deal at $13.50 each. I hope they list the rest soon because I really adore The Woman in White and I would LOVE to have it in a beautiful hardback (I think they come out Sept. 28). I'll be sure to let you know the second I see them online. The link also shows you last year's set, in case you haven't yet splurged on them like me! Cloth covered books are very elegant! I like!